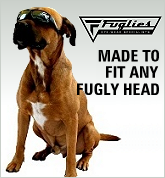 This website (www.fuglies.com.au) is operated by Fuglies Sunglasses for the sale of sunglasses, safety sunglasses and prescription safety eyewear in accordance with Australian Consumer Law. Online Orders: We have a shopping cart system that's pretty straight forward. Click on the "Add To Basket" button to select what you want to buy, and then follow the prompts to complete your purchase securely online. Phone Orders: Give us a call on 07 4055 8472. Please have ready the stock code of the Fuglies you wish to purchase and your credit card details. Fax Orders: Download a fax-back order form, fill it out and then fax it back to us on 07 4055 8471. Office Location: Our retail administration office is located in Smithfield in North Queensland. Local Cairns customers are welcome to drop by however we are in and out of the office regularly so an appointment is required. Please ring 07 4055 8472 to arrange a time. Pricing is in Australian Dollars and is GST inclusive. Discounts are available for purchases in commercial quantities of 10 or more mixed pairs. We accept payment by Mastercard and Visa (using either the the PayPal secure payment system or the ANZ eGate e-commerce credit card gateway), bank deposit, postal money order or bank counter cheque. Personal cheques will not be accepted. Security capabilities and policy for transmission of credit card details: We do not record or store your credit card details. Credit card details are provided directly to the secure ANZ eGate payment page hosted on the ANZ Bank website, or the Paypal payment page hosted on the Paypal website. All transactions are processed through 128 bit SSL encryption. Full payment of your order is required prior to despatch. In the case of Paypal e-cheque, bank transfer or bank cheque, your order will be sent once cleared funds have been received into our bank account. Standard Delivery: 5-10 working days* by Australia Post Parcel Post or Fastway Courier, depending on delivery location. Delivery to PO boxes will be by Australia Post. WA, NT and Tas can be up to 12 business days for standard delivery. Courier Delivery: 2-4 working days* by Australia Post Express Post or Fastway Courier, depending on delivery location. Delivery to PO boxes will be by Australia Post. Priority: 1-3 working days* by Australia Post Platinum Priority service. A tracking number will be emailed to you when your order is despatched. Click here for Australia Post online tracking and Fastway Couriers online tracking. Standard Delivery is FREE on orders of 10 or more pairs. * Please Note: Our cut-off for same day despatch on working days is midday. Orders received after midday will be despatched on the next working day. Orders received on Saturdays and Sundays will be despatched on Monday. Delivery times shown above are transit times with the carrier. Yes, we ship overseas. Standard delivery is by Registered Air Mail post and has receipted delivery and tracking. For New Zealand we also offer Express Delivery - 2-5 days from $14.95 for 1-2 pairs. Some countries impose duties, taxes and tarrifs on imported goods and these charges are levied at the point of entry into that country. You, as the purchaser, is responsible for these charges that are generally paid direct to the customs or excise authorities in that country by the receiver of the goods. Please visit this website for more information on import duties in your country. The delivery charge for a qualifying AFPO order is $4.50 to cover the cost of packaging, registration and insurance. Enter your AFPO address and select "AFPO" as the postage method on checkout. The delivery charge will be adjusted automatically. Orders are shipped with all necessary customs documentation. Your Fuglies will be sent in a sturdy protective box with a Fuglies micro-fibre bag included. Click here for our Refunds & Returns Policy. We guarantee that any personal information given to us will remain private and confidential and is never made available to any third party for any reason whatsoever. We adopt the policies of handling personal information in line with the Privacy Commissioner's National Principles for the Fair Handling of Personal Information as stated at www.privacy.gov.au.